UPDATED: Tue., Oct. 23, 2018, 2:38 p.m.
BOISE – Idaho officials are working to determine whether occupational licenses the state requires have gone beyond protecting public safety and now unduly limit job opportunities. Idaho Lt. Gov. Brad Little last week released results of a report that found the state has at least 440 different occupational licenses with about 204,000 licenses issued that cost $161 on average for each one. “In order to continue to ensure only the lightest possible hand of government on the day to day lives of citizens while still protecting the public, it was necessary to undertake this review,” Little said in a statement. Little, serving as acting governor in May 2017, signed the Licensing Freedom Act and launched a review of Idaho’s licensing requirements. Such a review hadn’t been done in some 40 years. Otter approved of the plan. The Licensing Freedom Act Report and Recommendations that came out last week is the result of that review. The report said the state should centralize information about licenses, improve licensing processes for veterans and reduce barriers for licenses. It called for Little to convene by Nov. 1 a working group that will study Idaho’s licenses and the processes to issue them. Little said the results will be used by policy makers for possible changes in how various occupations are licensed. It’s not clear yet if that means an easing in some licensing requirements or making them more difficult to get. The state requires licenses for occupations that include health care providers, electricians, plumbers, outfitters, land surveyors, real estate brokers, massage therapists, midwives, embalmers, credit counselors, taxidermists, jockeys, police officers, car salesperson and more. George Kubik started Hero’s Plumbing Service in Nampa in April and had to pass three tests to get his contractor’s license. He’s also in the process of closing his California plumbing business that he started in 2001. He said Idaho has more strict plumbing licensing requirements than California. In California, he said, an untrained worker can enter someone’s home under the contractor’s license. In Idaho, a plumber entering a home must have at least his own journeyman’s license. A journeyman plumber in Idaho needs to pass two tests to prove a level of competence. Kubik said Tuesday that he likes Idaho’s system better than California because he thinks it is better for customers. The report said Idaho has 13 executive branch departments with 47 boards and commissions with 285 appointed board members issuing licenses. State employees serve as staff to the boards and are paid for through license fees, with the staff spread out in various state agencies. 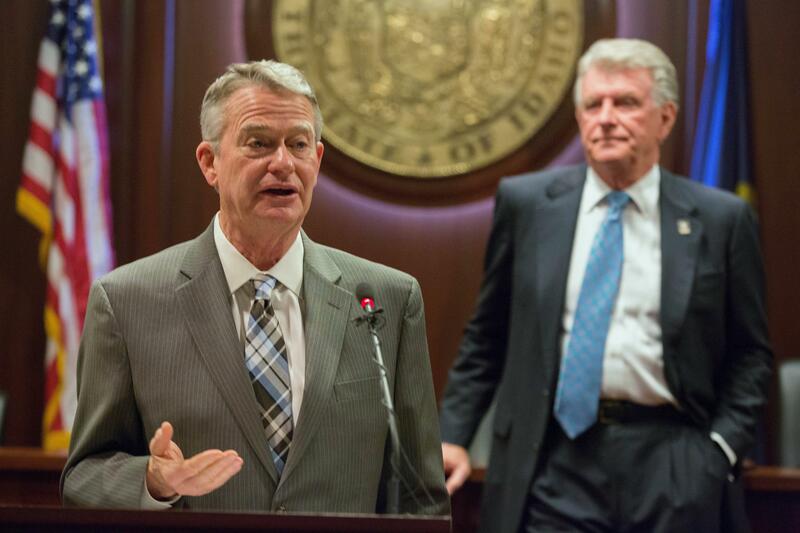 On a related front, Idaho GOP lawmakers in February announced the formation of a “Regulatory Reform Joint Subcommittee” to look at ways to streamline rules and regulations at state licensing boards. Lawmakers at that announcement cited a report from the libertarian think tank Cato Institute that said 30 percent of U.S. jobs require licensing, up from 5 percent in 1950. Published: Oct. 23, 2018, 2:29 p.m. Updated: Oct. 23, 2018, 2:38 p.m.